Just wondered what people are using with their DistoX (or X2) and what other people think. Only other thread i can see is from 2009 (http://ukcaving.com/board/index.php?topic=8645.0), so hopefully there should be better options available now, especially fully waterproof devices. The problem with PDAs is that they are old tech and we have broken quite a few of them over the past few years. We (UBSS) have experimented with a small Windows tablet. The problem was finding one with a suitable screen for use with a stylus and then finding a suitable waterproof & robust box for it. I'll check out which tablet it was we have used - don't have the details to hand, sorry - but we have yet to find a decent robust case. If anyone knows of a robust otter box type case for an 8" or 7" tablet please let me know. I think it will be a couple of years yet before android tablets become preferable to PDA's. A good PDA can be picked up for £20, some makes are not rugged enough but I have been using a Loox N560 repackaged into a semi rugged case for a few year now, and considering how much they have done, my first problem only arose last year after I had crawled over it and squashed it in a squeeze by mistake. 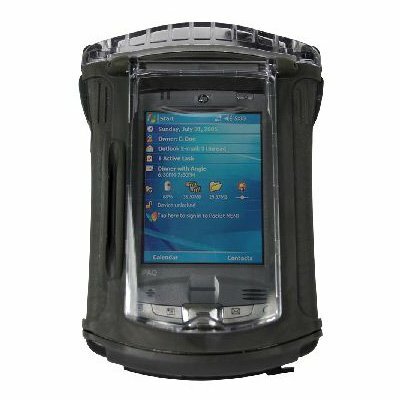 Try Loox EDA PDA education version at about £20 on ebay or if you can find it the rugged version, Fujitsu Siemens RPDA N560 Pocket Loox GPS Pocket PC, it could be worth it as you will not need a case, about £30. Both of these, can have increased battery size and made them more waterproof, so I dont use them with a case. I do have a case if I am going somewhere very wet. Will be down on the Mendip Cave Surveying course at the end of the month, if you want a look and compare with other PDA's etc. Any other alternatives people know of? The cheap price means I'm fairly happy using it in a sturdy waterproof bag until I can find an otterbox equivalent (maybe not in some of your Peak District environs though, Rob).